Edie Pink / Andy Was Gay! OMG! 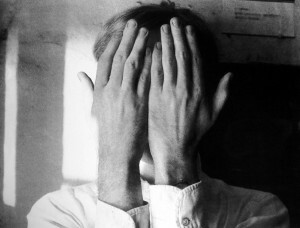 Did you know that Andy Warhol was gay? Did you realize just how important that is to understanding his work? As one of the world’s great faghags I can tell you that I was perfectly aware that Andy was gay. But I wasn’t so aware that this “minor detail” of his life had been conveniently overlooked by art history. For quite some time art historians would ignore the fact that Warhol was gay. Despite this being evident in much of his work. His blank persona was read as asexual… Warhol’s sexual orientation is crucial for understanding his output. Could we really have been reading the genius of the 2nd half of the 20th century wrong? 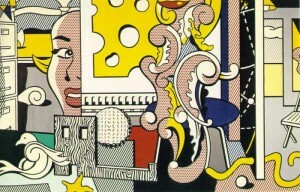 At one point in time Andy and Roy Lichtenstein were both exploring making paintings from comics. They both depicted Mickey Mouse. 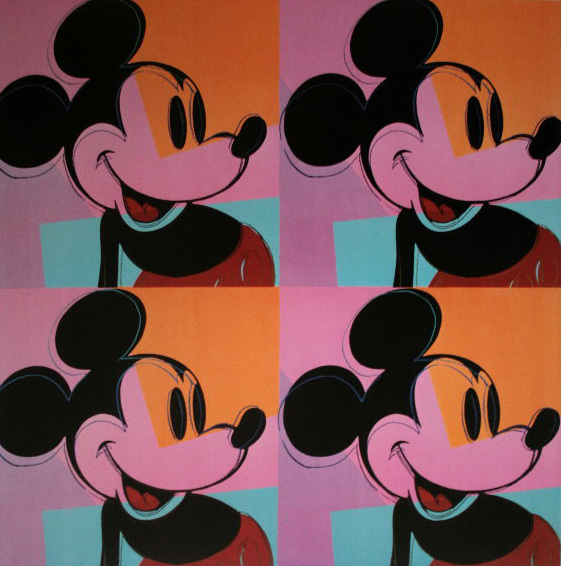 Two of the best known, most successful Pop Art innovators looked, from one point of view, somewhat similar. But were they? They were both Pop Artists. But what kind of Pop Artists? It’s not just Pop vs Abstract Expressionism vs Social Realism, it’s also what you’re doing with that. After thinking about Davis’ talk this week, it occurs to me that Lichtenstein was a Modern Artist, and Andy was a Postmodern Artist. Two celebrated Pop Artists both taking New York and the world by storm, but in spite of the association, ultimately very different artists. 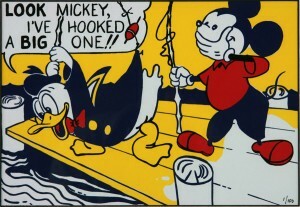 Roy Lichtenstein’s work is playful and lyrical. It’s fresh and inspiring. It may be a thumbed nose to Abstract Expressionism, but for all its playfulness and irreverence, Lichtenstein’s work is finally about the optimism of Modernism. Can you build a utopia out of cartoon colors? Maybe you can! Postmodernism was about many things, but for me one of the most fundamental was an exploration of Identity Art. For me a lot of the Postmodern project was to build a more complex, inclusive culture that Modernism in its streamlined dash to utopia didn’t have room for. The precise perfection of Mies van der Rohe or Mondrian doesn’t really afford room for a disenfranchised street artist’s self-expression. 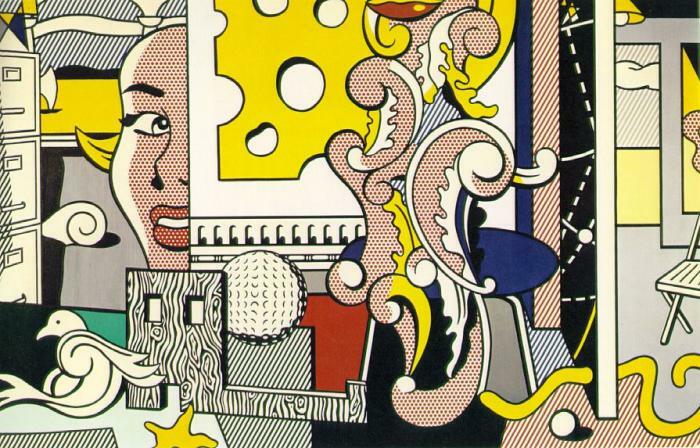 Roy Lichtenstein critiqued Abstract Expressionism, but he celebrated the Modern world. Andy, despite the way he performed his persona, created Postmodern works that begged for a more tolerant, inclusive world. A world that celebrated counterculture. Could the biggest Warhol joke of all be just how serious his work actually was? It’s easy to see Andy’s work as what he always claimed it was: superficial. We don’t tend to think that way about John Cage’s work. Yet look at the connections between their oeuvres: They both looked at things with a Zen-like intensity. Cage claimed to be looking at things with a Zen-like intensity. Andy claimed to be fetishistically admiring beautiful people. But wasn’t that too a Zen-like appreciation of nuance? Didn’t they both find interest in small things looked at carefully? They both created simple, durational works of sublime beauty. So simple you could miss the whole thing if you couldn’t quiet your mind enough to appreciate it. Here’s 2 videos: Cage’s 1952 composition 4:33, and my Screen Test from 1965. 4:33 was first performed by David Tudor at Woodstock. Originally it was most often performed by a soloist like Tudor or Jim Tenney. This is the more recent BBC Symphony Orchestra performance from 2004. 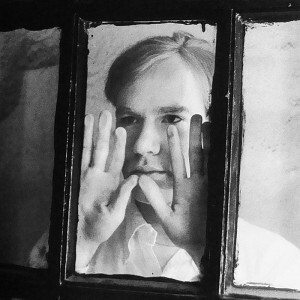 Conversely, the Screen Tests are today most often paired with the music 13 Most Beautiful… Songs for Andy Warhol Screen Tests that The Andy Warhol Museum commissioned from Dean Wareham and Britta Phillips in 2009, however this version of my Screen Test is the original, silent one.